Winter is here and there is no better way to enjoy the 200+ inches of powder than with the purchase of a season pass. The Snowy Range Season Pass is the best value for skiers and riders in Southern Wyoming and all of Colorado, with lift access to Snowy Range every day for the 2019/2020 winter season. *ages are determined based on age as of December 1st, 2019. Snowy Range Ski Area has partnered once again with Steamboat Resort in Steamboat Springs, Colorado. Enjoy 5 Days to Steamboat Resort for $169, with no blackout dates or restrictions. These days do not have to be used on consecutive ski days but are not transferable. – The Steamboat 5 day addon can only be added to a full price Snowy Range Season Pass. – Children 4 and under are not eligible to purchase the add-on but may purchase a Steamboat Resort Season Pass for $39. – Seniors 70+ are eligible for a Free Snowy Range Season pass, but can only add the Steamboat if they purchase a full price adult season pass. – The Steamboat 5-Day Add-on is only available for purchase until September 8th, 2019. Student Season pass holders may purchase the add-on until November 8th, 2019. Three FREE lift tickets to: Purgatory, Ski Hesperus, Pajarito, Sipapu & Arizona Snowbowl. For more information please contact the individual resorts. 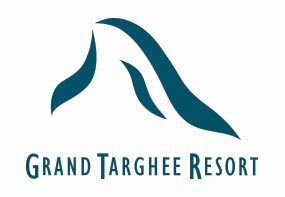 Grand Targhee Resort offer details:. Stay and ski free when you book 2 or more nights of lodging with your 2018-19 partner resort season pass. Must call and book The Partner Resort Package to receive package rates. Partner Resort Packages start at $144 per night. 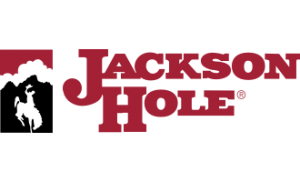 Guest must call 800.TARGHEE for reservations and mention that you are with a partner resort. Unlimited 1/2 price Lift Tickets for all ages to White Pine and Hogadon Ski Areas. One per valid season pass holder per day. *Passholders must show valid Winter 18/19 pass from partner mountain with a picture ID. Winter 2018-19 passes are valid November 24, 2018 – April 7, 2019. Season Pass Exchange rates valid to season pass holders, employees, and employee families with a valid 2018-2019 season pass. Three FREE all-day lift tickets to Brian Head Resort. UNLIMITED Buddy Pass Lift Tickets – Available every Tuesday – Thursday starting January 3. Buddy pass lift tickets are half-price lift tickets to Snowy Range. Limit one lift ticket per day, per Season Pass holder. Snowy Range Season Passes are not mailed. They must be picked up in the season pass office once the ski area opens in the fall. Please bring your season pass receipt along with a valid photo ID. Will I need a photo for my season pass? Your picture will be taken when you come to pick up your season pass. Am I required to send in a liability waiver before I receive my pass? Where can I find that? No, you do not need to fill out your liability waiver prior to picking up your pass, but you will need to fill out a liability waiver at the season pass office. To speed up the process we do have an online waiver that you can fill out. Why haven’t I received my pass in the mail yet? We do not mail your season pass. You will need to pick up your pass once Snowy Range opens for the season. Do I get a new pass if I renew? Yes! We have a new season pass every year. They make great collector items. Fun idea, keep them as Christmas ornaments for your tree. I lost my pass. How can I replace it? You will need to stop by the ticket or season pass office. There is a re-issue charge for a lost season pass of $50 for handling and processing. Your old pass will be redlined and will no longer work. Lost passes must be reported to the ticket office as soon as possible. For youth passes only, passholder may opt to be assigned tasks in the lodge in lieu of the payment of the $50 fee. What other benefits are offered with my season pass? Where can I use them? All season pass holders get three FREE lift tickets to each Purgatory, Ski Hesperus, Pajarito, Sipapu & Arizona Snowbowl. In addition, all pass holders receive unlimited 1/2 price Lift Tickets for all ages to White Pine and Hogadon Ski Areas. Sunlight Mountain Resort offers three, 2-for-1 lift ticket purchases for season pass holders from partnering resorts. An individual pass holder can only redeem 1 BOGO deal per day, with a max of 3 BOGOs per season pass during the 2016/17 season. Grand Targhee Resort offer, stay and ski free when you book 2 or more nights of lodging with your 2017-18 partner resort season pass. At Snowy Range, pass holders receive UNLIMITED Buddy Pass Lift Tickets – Available every Tuesday – Thursday starting January 1. Buddy pass lift tickets are half-price lift tickets to Snowy Range. Limit one lift ticket per day, per Season Pass holder. Please contact the individual resorts prior to your trip to confirm Season Pass benefits. Benefits are subject to change and Snowy Range is not responsible for any issues that may arise. Where can I buy my Season Pass? The fastest and easiest way is to purchase online at snowyrangeski.com. Please print out a season pass information form and mail in with a check. CLICK HERE FOR PASS INFORMATION FORM. Snowy Range Season Passes have no restrictions or blackout days and can be used every day Snowy Range is open. Standard Snowy Range season passes are non-transferable. The exception is the Silver Medallion pass which anyone can use. How come I cannot purchase a Snowy Range Child Pass online? Children 4 years and under receive a FREE season pass so you do not need to purchase it online. Please visit our season pass office and our staff will be glad to print out a pass for your child. Please bring some sort of ID that has the child’s birthdate on it. How come I cannot purchase a Snowy Range Senior Pass online? Seniors 70 years and over receive a FREE season pass so you do not need to purchase it online. Please visit our season pass office and our staff will be glad to print out a pass for you. Please bring a valid ID. Are there any benefits to buying/renewing my season pass in the Spring/Summer? The early bird gets the worm! Buying your pass early guarantees that you will lock down the lowest price of the season to ski at Snowy Range. As a passholder do I get discounted lift tickets for my friends and family? Yes! At Snowy Range, pass holders receive UNLIMITED Buddy Pass Lift Tickets – Available every Tuesday – Thursday starting January 1. Buddy pass lift tickets are half price lift tickets to Snowy Range. Limit one lift ticket per day, per Season Pass holder. Season Pass, unless stated otherwise, is Non-Transferable. Use by any person other than the designated pass holder will result in revocation of the pass and in prosecution. Season Pass is illegal to resell. A season pass may be confiscated with no re-issue if, in the sole judgment of the ski area operator, it is used in a fraudulent manner. Passholder acknowledges their affirmative duty to immediately notify the ski area operator and appropriate authorities if Holder’s pass is lost or stolen. Failure to notify the ski area of a stolen or lost pass may result in loss of skiing privileges. Age Category is determined by age as of December 1, 2017. Proof of age is required for all passes with age restrictions: Child, Youth, Teen, Student, Military and Seniors. Passes are NON-REFUNDABLE except in the case of documented medical reasons that prevent the pass holder from skiing/riding for the remainder of the season. In the case of documented medical conditions that occur prior to February 1, 2019 Snowy Range will provide a 50% credit back to the pass purchaser. Refund requests must be received prior to February 28, 2018, to be eligible for credit. No cash refunds. Pass purchase cancellations prior to the start of the season will be charged a $25 processing fee. After December 1, 2018 there are no refunds for unused passes other than for above stated medical conditions. FORGOTTEN PASSES: One complimentary ticket PER SEASON will be issued for forgotten passes. After the initial complementary ticket, pass holder must purchase a FULL price ticket. Tickets issued for forgotten passes are NON-TRANSFERABLE. LOST PASSES: The re-issue charge for a lost season pass is $50 for handling and processing. Lost passes must be reported to the ticket office as soon as possible. For youth passes only, passholder may opt to be assigned tasks in the lodge in lieu of the payment of the $50 fee. Contact ticket office for details. Lift tickets/Season Passes are required to ride any lift at Snowy Range Ski Area. Lift tickets/Season Passes must be showing at all times. If caught riding or attempting to ride a lift without a lift ticket/Season Pass will be considered theft of services. Theft of Services will result in a $100 ticket catch fee. Riding or attempting to ride a lift with a season pass not belonging to the person will be considered theft of services. A $100 fee will be issued to the person using the pass and the pass will be confiscated. The season pass holder is required to pay a $100 fine to get their season pass back.